The dream of a lot of people is to have a successful wealth plan in place enabling them to accumulate wealth so as they can retire early, retire at 65, or at as a buffer for an unstable career. 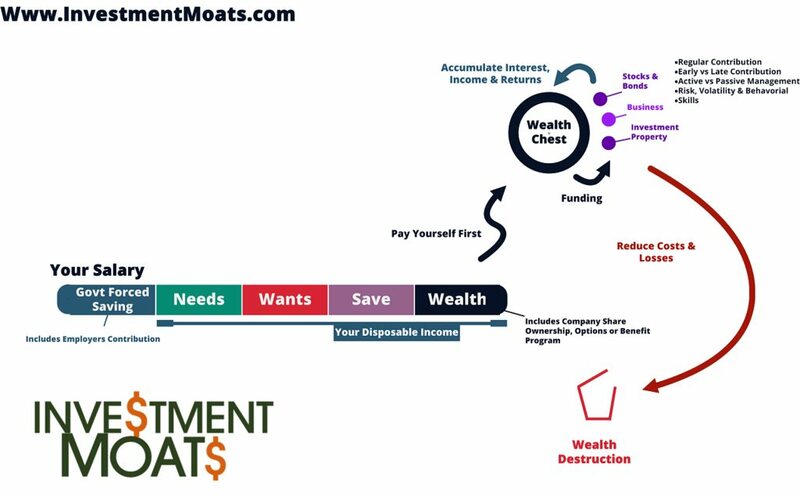 Friends, acquaintance as well as mass media have sold us the idea that you can easily start or setup a passive income strategy to meet your wealth goals. The term marries two very beautiful thoughts to an investor. Passive means you don’t have to spend much effort. It is ” autopilot “. Income means you have a consistent stream of liquidity. It is the nirvana of wealth building and what many of us spend our time searching for. It also gives much opportunities to folks touting their trading or investing methodology promise you this nirvana. Follow their method and you will truly be on your way to financial freedom they say. The reality is that almost all wealth building methods are not 100% passive. The sooner you understand that, the better you can prepare for a successful system. Malcolm Gladwell stress that the truly successful folks excelling in their skilled field put in a lot of their efforts to improve their knowledge, prospecting , execution, risk management. Investing and trading in a world that is not constant means that no system works like how it was originally taught. Much season traders share that markets change, systems that used to work will not work well anymore. If you shorten your upfront cost by going to a course you will realize it may not work when conditions change. Does the course teach you how to test an identify your new system? Perhaps that is the important skill. Courses that bridge and teaches you individual stocks investing, value investing, dividend investing tries to cover what Warren Buffett, Peter Lynch and dividend managers learn in their 10-30 plus years of training, mistakes and enlightenment in 5 days. You wonder that is enough. There needs to be an upfront cost. You may need months to build up the knowledge, distill it to follow that path of wealth building. Many folks who do not know where to start will attend a 4-5k 5 day course hoping that will be all they need to hasten this learning process, keep them from falling into common errors and pitfalls. While the upfront cost varies, many acknowledge that it is Ok to spend an adequate amount of effort here setting up their system. The part that they wish to be minimal is the time and effort spent once the system have been in place. Much systems take 30 minutes a day of maintenance with a monthly 1 hour review of results. There does seem to be an underestimation of the effort required here most of the time. This usually stem from course trainers selling a plan that is too good to be true, or investors underestimating the rigors that is required. What I consider the least taxing effort wise also requires some effort. Investors allocate their stream of cash flow into an equity and bond portfolio, keeping cost low, keeping their mental state in check, ignoring the market and rebalancing it yearly. The upfront cost is the cost of reading up and familiarizing how to create a standard portfolio, choosing low cost exchange traded funds, the pros and cons. The maintenance is the lowest, because effective wealth building through this method is to ignore the market noise and continue to fund the portfolio as well as an annual rebalancing. Andrew Hallam wrote a book on how he amassed million dollars on a teacher’s salary. He used to be an active manager but now manages his money through a passive exchange traded fund portfolio. Here is a UK guy, who comes up with very good investment articles. His focus is a lot on retirement and behavioral part of management. And there is a reason for that because, when the upfront cost is invested, all you need to worry about in maintenance is controlling your emotions! Trust me out of all these passive guys, this guy have the best resource! We don’t have much resources for Singaporeans but this guy’s blog shows you his execution. Majority of investors believe that they can be competent active managers. They would like to build wealth by buying a portfolio of individual stocks. 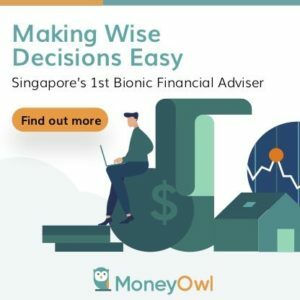 They may choose to build the portfolio based on hearsay, or follow certain stocks selection methodology such as momentum /growth investing, value investing and dividend investing. The upfront cost to learn is rather large. Most investors do not come from a finance background and will need to learn the basics required to prospect for stocks. It is why most turn to courses to bridge that gap. Many have shared that what you learn in courses are not enough and you will need to supplement more through self learning. The maintenance can be as much. Many have the perception that you can just buy blue chip or dividend yielding companies when in reality you will need to prospect the companies under your portfolio. They may be overvalued and as an active manager you have to evaluate whether that is good for your portfolio to consistently buy without much margin of safety. High yielding stocks may plateau and you will end up adding at very low yields. On a daily or weekly basis, you will need to evaluate your existing stocks, and also you will need to prospect for new ones. To ensure you buy good companies, you will need to read up on the business model, the competitor models, tabulate years of financial data, evaluate them. You will need to discard most prospects and focus on certain to deep dive into them. During earnings announcements, you will need to see if business have met expectations. Anything less than this accounts to speculating to the point of punting. Valuebuddies is a Singapore based forum focus not on trading but more on prospecting businesses. You will find that there is not so much comments on “can buy or not” but more on how folks take in news that affect individual businesses and what can be a good and bad outcome. To find new business, you need to gain a level of business prospecting to understand the signals and block out the noise. You will also need maintenance on the business models of new prospective business. All these requires reading up. Geoff Gannon writes a lot on business prospecting. If you would like to know the level of work that needs to be carried out upfront and maintenance wise, check out these prospecting articles. It shows that successful investors deep dives to achieve a level of comfort in their picks to invest with higher conviction. For those who feels prospecting stocks are not their cup or tea, they may fee more affinity to trading in stocks, futures, options or Forex. Many courses in news paper advertise to bridge the learning gap often touting that their technique is passive and all you require to reach financial freedom. The upfront cost are usually more than that and turns out you need to put in more work to self learn more trading systems, evaluate their risk reward profile, back test the systems. The maintenance is just as much. While some tout you only need 30 minutes daily, the problem happens when the system stops working. It’s hard to imagine the perfect system working in all market conditions. Most season traders shared there are different systems that works in different environment. They also spend much time fine tuning their systems to make it more successful. Depending on the time frame that you trade and the instrument, it will require a trader to do that nightly, daily or 1.5 hour daily identifying new trading prospects. The best traders keep logs to evaluate their performance and learn from their mistake and that is part of the maintenance as well. JC Parets is one of the traders that blogs at Stock Twits. He runs his own hedge fund based on trading and he is a Chartered Market Technician. You would think that if they run their shop based on trading, their system should be passive and low maintenance. But what we get is the evidence that he spent his weekend reading more materials to sharpen his edge. And there are week where they will take off for mental maintenance. If a system is fuss free, then a trader shouldn’t have the need to do maintenance things like that. Alex trades only charts and he shared with me that he denounces Forex Courses because you can’t learn what is necessary in a 6-7k Forex course. You learn by experiencing and studying. Each setup that he trades takes 2 hours of prospecting as well. One of the most prevalent perception of passive income is to invest in additional properties, rent them out and collect rents. The upfront cost is fairly above average, where an investor need to get the nuances of picking good prospective properties at good yield or with good appreciation values. You will also need to project manage to furnish the property to get it to a rentable condition. The prevalent means is to engage a property agent to fulfill the rental needs and paying a commission for it. The maintenance cost is rather below average depending on how many properties an investor have. Choosing the wrong tenant could result in the investor needing to chase him down for rent or compensation for rental damages. The investor would also need to repair and bring the properties to a rental state again. All these requires yearly efforts. Depending on different level and scope of work, many would find that they will have a difficulty extracting time to engage in this second job of active wealth building. It is true that if we want something we have to take action and work for it. However certain situations may result in an investor better prioritizing certain wealth building methods over others. 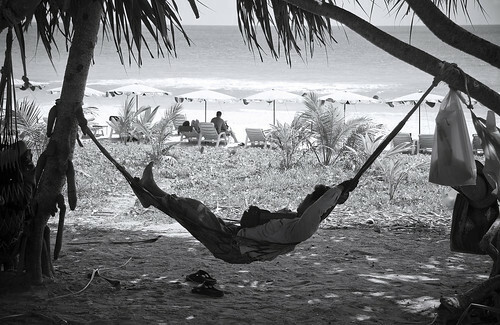 A very high stress but lucrative job may require the investor spending more of his time recharging his batteries by relaxing, concentrating on funneling more streams of cash flow into building wealth and relying on lower maintenance approaches such as a passive ETF portfolio and property rental. If you are in a full time job, and there are many commitments to distract you, perhaps it will not be fair to your company to trade actively on a daily time frame. It could cause additional stress on your life. Alternatively, you are a young chap that can have the energy to have a second job, you can choose to trade actively in Forex or us stock market at night. Whichever wealth building muse you have chosen, you will have to figure out how much maintenance cost the investor requires to upkeep the wealth building process. Do not let a course deceive you on the level of work and rigor required. However , do not be scared by the level of rigor. Human beings may require some challenge once in a while. Top performers dig in and work. Losers complain. A person that values relaxation, family bonding may have to choose a more passive approach. They have identified that they do not want that second job. For gung-ho folks, it is important to realize that there may be more time and monetary costs involved then you think. Above all, it doesn’t mean a more active approach equates to more wealth being built. Low quality of approach, failure to master the behavioral part of investing by the investor may actually be detrimental and result wealth destruction. So which way would you choose? The more active hands on approach or passive approach? Are you ready to take on a second job? For my best articles on investing, growing money check out theresources section. You are right, there is no such thing as passive income in a sense. Even when you own a rental property 100%. As for the stock, if you don’t do enough homework or wrong homework, the passive income will never come at all. You may even lose some or all the invested capital. I think there are a little bit off maintenance. The most passive is actually passive portfolio investing. This is an awesome post! I’ll definitely hand it on to people who are getting started. Hey thanks man. I hope that your wealth building muse didn’t shock u with the level of work required. I chose property investment, specifically commercial shop houses. Quite passive in the sense that there is usually little to do after finding a good tenant. Hi, I think the upfront cost is very high and it may not be suitable for everyone as that will put the risk as high if a mistake is made and like you mentioned, leverage risk can magnify the gains but can also multiply the pain. Ah thanks for sharing. risk is certainly an area omited in this article, we could go all day in this. the cost is high as well and certainly a struggle for someone earning 2000 disposable income. Well said Kyith. Even me wanna KLKK or shake legs, still have to “take a look” at your S-Reits table, The Finance & Value Buddies daily to get a feel of how things are. I’d wished that VB can have the smartphone friendly mode. For many of my friends, I think they are still confused on the Needs & Wants portion. Especially when they are distracted with family & kids around them. I certainly liked to hear of what they are doing to prepare themselves for their retirement (often heard reply : CPF have lah or CPF lah) AND how their kids will face the $1m 3 room HDB when they reach marriageable age. Hi Snoopy, that is a close reality which i have observed as well. I always think the CPF is not enough, but life is busy, you cannot take up a second job readily and be equipped to do it well. Even full time folks (fund managers) do not have good records as well. Allow me to share about needs & wants. If you prepare a table ( excell) and in the 1st column you enter the current year, next column your age, next your spouse’s age, your kids or your parents’ age.. then next column would be where you enter the main event in that person’s life. You will have a visual timeline of your life as you & your family grows older. This is a fact that will not change… no matter which political party or financial chaos/boom that may occur. Key events would be your kids going to primary school, secondary school, poly, uni, NS.. Your dad’s life span, current health issues.. etc all this is predictable, plus/minus a year or two. Using this table will give a a sense of horizon and you should be able to prioritize and the needs become clearer.. all others is a want… which can wait or can take a longer timeframe to achieve. Some people may wake up after seeing this. Like I mentioned, certain events in our lives ( in Singapore ) is 90% predictable. thanks for sharing this way of keeping track. it just depends the rate of return you are try to achieve. For simply beating the inflation or 5 – 7% rate of return, you can absolutely do it passively given that you are not too old to endure a short bear market. Just buy a bluechip ETF. Sure, if you are looking at 10% or more for return, by all means, there is no free lunch under the sun. thanks freedom for coming in and sharing your thoughts. the common mindshare for fuss free is still properties. but note i did not discuss leverage risk here. properties are fuss free? I can’t agree with that. For one, leasing/rental is not exactly fuss fee.